15 Syrians, Fleeing, Died On Mountain. Girl Was Found Alive. Who Was She? The fate of 15 Syrians who died in a snowstorm marks another sad chapter in this Middle East tragedy. 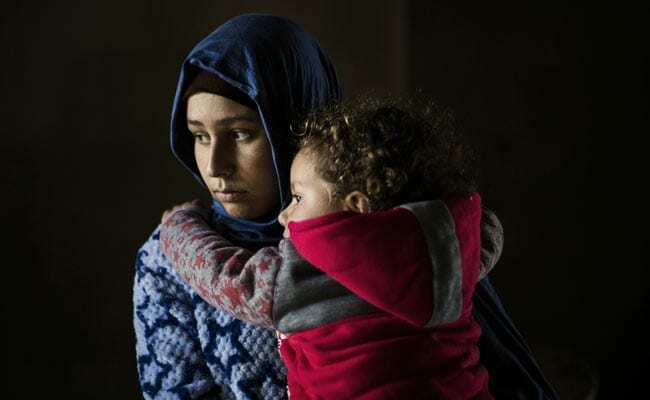 Sarah Mishan, 3, was rescued on the mountains separating Syria from Lebanon. Chtaura, Lebanon: The mountain range that forms a natural boundary between Syria and Lebanon has long served also as a wartime conduit for people who cannot travel legally - the gunrunners, the rebels, the dissidents and the ordinary citizens who just want to escape. On one night last month, it became a death trap. A storm whipped up at the moment a group of about 70 Syrian refugees was climbing over the mountain to try to reach Lebanon. In the darkness, wind and snow, they began to falter. The elderly fell behind. Children tripped. Men slipped. Unable to see their guide, the refugees became lost and scattered. One small group became so tired that they decided to lie down on the cold, hard ground and go to sleep. Shihab al-Abed and 13 family members tried the crossing; 6 died after a snowstorm hit Lebanon's Masnaa. 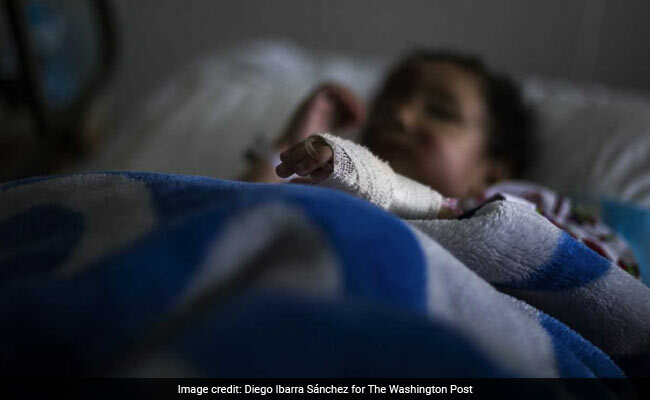 By daybreak, 15 people had frozen to death, a sad new milestone in the tragedy of Syria's seven-year-old war. Refugees have drowned trying to reach Europe and are regularly shot on the Turkish border. But this was the first known instance of a group dying of cold, according to the United Nations refugee agency and Lebanese authorities. It was also a reminder of the continued desperate efforts of Syrians to escape the fighting, even as the world closes its doors. The United States and Europe are not alone in restricting entry to Syrians - Syria's neighbors also long ago shut their borders to refugees. For those still fleeing to Lebanon, which is hosting about a million Syrian refugees, the only way in is across one of the mountain smuggling routes. The fate of these recent refugees first came to light after rescue workers posted photographs on Facebook, offering clues to the horrors of the night. Three adults and a child lay rigidly alongside one another. A boy was crouched beside a wall. A woman had huddled in a thorn bush, the child she was carrying tipped upside down from her arms, feet clad in pink sneakers pointing skyward. And one little girl was found alive, lying in the snow. Someone picked her up and took her to the hospital in the nearby town of Chtaura. Half of her face was burned away from frostbite, and she was comatose from the cold. In the intensive care unit, she became another small question mark in the tragedy of a larger war. The doctors wondered: Who was she? Why didn't any relatives come to claim her? And would she survive? Shihab al-Abed's daughter, Amal al-Abed, 19, and her daughter, Goufran, 3. Her 1-year-old son died. Among those on the mountain that night were Shihab al-Abed, 43, and 13 other members of his extended family, who had come from the small village of Barghouz in Deir al-Zour province. The village has been under Islamic State control for years but was too small and unimportant to be caught up in the battles that have killed more than 300,000 people elsewhere, and their lives had remained mostly peaceful, Shihab said, recounting the tale from his brother's home in the northern Lebanese city of Tripoli. Late last year, everything changed. The Islamic State was rapidly being driven out of all of its major strongholds. More and more of its fighters began showing up in the village as they fled from other areas. In November, the Syrian army overran the nearby town of Bukamal, and Barghouz suddenly found itself on the last front line of the Islamic State's dwindling defenses. After a night of intense fighting in late December, during which the family's house was hit by a shell, they decided they would have to flee to survive, Shihab said. They piled into vehicles and made their way to Damascus, the Syrian capital - Shihab, his mother, wife, sister, four daughters and a son, three grandchildren, a sister-in-law, and two nieces. Once in Damascus, they made contact with a smuggler who said he could take them to safety in Lebanon. The journey would cost $140 per person, and the route would be easy and short, the smuggler promised - just a half-hour walk, alongside the main road, and they would be in Lebanon. "But he was lying," Shihab said. 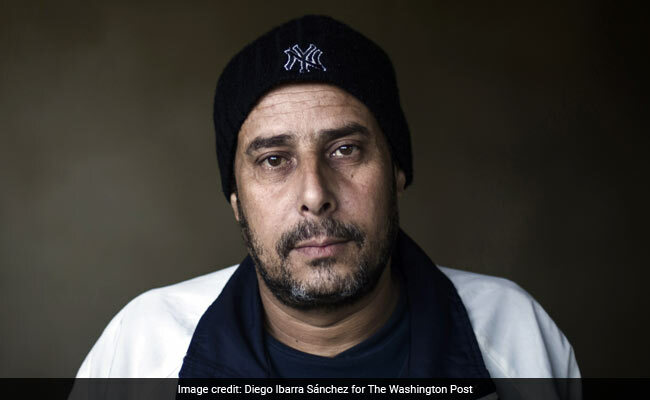 When they arrived at the border on the evening of Jan. 18, instead of remaining alongside the road, the smuggler pointed the family up the nearby mountain, indicating a series of blinking lights high in the darkness that he said they were to follow. There they were met by another smuggler, who gave his name as Abu Hashish, their guide for the rest of the journey. It is a common ploy of smugglers to deceive their customers into believing they will take an easy route, according to Lebanese security officials and local civil defense workers who have rescued people from the mountain before. Many people might refuse to make the trek at all if they knew in advance how challenging it would be. The Abed family still had no idea what lay ahead. They struck out into the darkness and driving rain, following Abu Hashish and the big white lettering emblazoned on the back of his jacket: "Police." The path grew steeper, the weather worsened. The wind became a howling gale. The rain turned to snow. Like most of the refugees in the group, they were lightly dressed. Hanan, Shihab's 13-year-old daughter, was wearing plastic sandals and kicked them off so that she could walk faster. 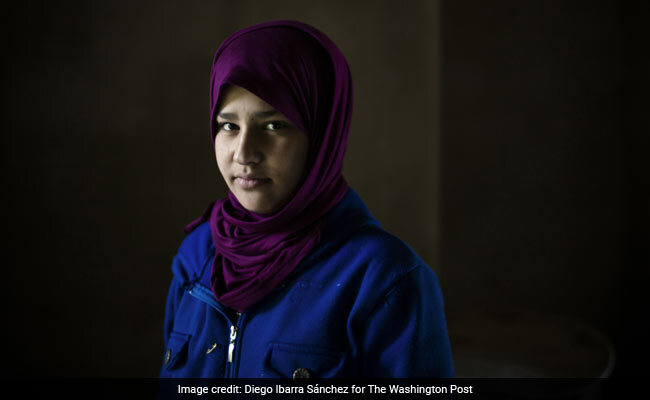 Hanan al-Abed, 13, survived the trek in the freezing mountains. It quickly became clear that the group was unable to keep up. Shihab's 70-year old mother, Hasba, was the first to fall back. Shihab's wife, Anout, sister Dalal and daughters Amal and Abir stayed with her to try to help her along. Soon they had lost sight of Abu Hashish and the rest of the party. Then, in the buffeting winds, they lost Hasba. Amal was carrying her 1-year-old son, Yasser. Abir, seven months pregnant, was struggling too. She handed her year-old daughter, Beshayer, to another refugee. The women grew colder and colder and sleepier and sleepier. "So we decided just to take a rest," recalled Abir, who survived that night. "We lay down and said we would find the way in the morning." Up ahead, Shihab was carrying on, his 3-year-old niece Sarah in his arms. The rest of the night is a blur, he said. They ascended one mountain peak, descended and then another lay ahead. They passed a dead man on the way, a teenage girl crying over his body. At one point, he slipped and fell and cracked his ribs. The girl in his arms had grown lifeless and cold. He could hardly walk himself. So he lay his niece down in the snow and continued on his way. "She was cold and motionless," he said. "I thought she had died." When dawn broke, Abir awoke. Her grandmother, mother, sister and nephew lay immobile beside her. "They were stiff and frozen. I hoped they were just asleep," she said. "I could see a house, so I went to get help. It turned out to be an army post. They went to fetch them." Seven hours after they had set off, Shihab and the other survivors reached the bottom of the mountain. He learned that his wife, mother, sister and grandson Yasser were dead. His niece Sarah, her sister and her mother were unaccounted for. At the hospital in the nearby town of Chtaura, civil defense rescuers were ferrying in others they had found on the mountain, some dead, some alive. Over the next two days they would find a total of 15 bodies, all but three of them fleeing battles in Deir al-Zour, and six of them from the al-Abed family, according to police. Most of the survivors were in good shape and were treated and released the same day, said George Kortas, a doctor and the head of the hospital. But one small girl, estimated to be about 3 years old, was in critical condition, barely responsive and with third-degree ice burns to her face. For two days she lay comatose in the ICU. Half of her face was a mass of blackened scars from where her cheek had lain in the snow. The doctors fretted that she would die. On the third day, she began to show signs of life. And on the fourth day, she spoke for the first time. "I want to go to mama," she said in a weak little voice. "It's a miracle she is still alive. She is a strong little girl, and her organs have recovered well," Kortas said. "But she is going to need many, many plastic surgeries to lead a normal life." He and the other doctors puzzled over who she was. All of the refugees who had perished had relatives in Lebanon who slowly trickled into the morgues of the Bekaa Valley to claim the bodies. But no one came to claim the girl - until the fifth day, when her father showed up. Living in Tripoli, he had only discovered the fate of his missing family members when he saw the photos on Facebook. The woman found huddled in the thorn bush was his wife. The girl in her arms was his 4-year-old daughter, Heba. He scoured the morgues until he found them and took them for burial in Tripoli. Only later did he learn there was an unclaimed girl in the hospital, his other child. It was an awkward reunion. He had only seen Sarah once, when she was an infant, because he was living in Lebanon while his family remained in Syria. "She doesn't know me, and I don't know her," he said, cradling her inexpertly as he fed her spoonfuls of egg, soup and salad from a hospital tray. She ate weakly but hungrily, pointing to the dishes she wanted to taste. Then she repeated the only words she has spoken so far. "I want to go to mama."